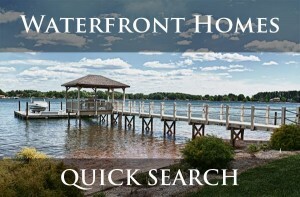 Waterfront homes at Lake Norman are quite the site to see. With so many luxury home builders in the Charlotte/Lake Norman area, the options are endless for those looking to start from scratch and build their dream home with a custom builder, or find the perfect home in a well-established or new construction neighborhood. 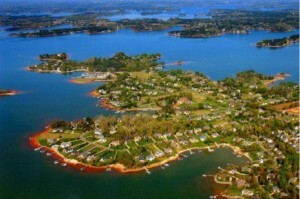 Lake Norman boasts an astounding 500+ miles of prime shoreline and is within close proximity to one of the largest cities on the east coast, which is why so many people have come to love calling it ‘home’. By boat or by car, you will find that traveling around the lake is simply like walking through a luxury display of pure artistic expression. Lake access is easy to come by, since there are so many access areas throughout the cities that border the water. Weather you’re looking for a scenic walk around the lake or a beach day in the sun, you will find it with ease. Some of the most popular lake areas are Jetton Road, The Peninsula, Connor Quay in Cornelius, The Point, West View in Mooresville and of course Norman Estates and Sailview in Denver along the west side of the lake. The Lake Norman area is a prime location to live in the Carolinas weather or not you own waterfront property, but winding down at the end of each day with a lake sunset in your backyard definitely has its perks.